Walvis Bay – The Efuta Maasbanker product range of canned horse mackerel is the first Namibian canned product to receive the Namibian Standards Institution’s (NSI) Standard Mark of Conformity product endorsement. Through its Food Laboratory and Inspection Centres at Walvis Bay, which are accredited to international standards, making use of NSI issued certificates means that food items are acceptable around the world. As the functional national standards body in Namibia, the NSI provides reliable testing especially for food such as fish and fishery products including shellfish, beef and agro-products and rendering food safety technical support to the aquaculture, fishing and other industries through regular tests conducted at the NSI Biotoxins and Microbiology laboratories at Walvis Bay and through NSI Inspection and Certification. Hazard analysis and critical control points or HACCP is a systematic preventive approach to food safety from biological, chemical, and physical hazards in production processes that can cause the finished product to be unsafe, and designs measurements to reduce these risks to a safe level. In this manner, HACCP is referred as the prevention of hazards rather than finished product inspection. 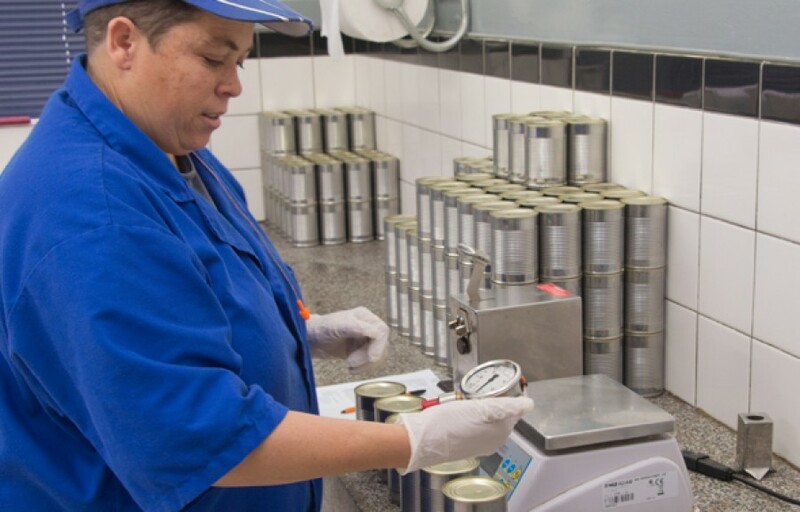 The HACCP system can be used at all stages of a food chain, from food production and preparation processes including packaging, distribution, etc. HACCP compliance is regulated by 21 CFR part 120 and 123, to which Etosha Fishing complies.